Pyjama-style pants from Alexander Wang. 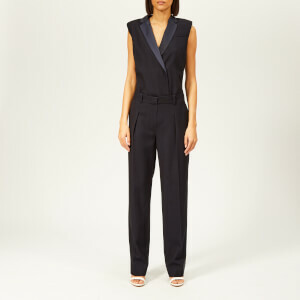 Lightweight and satiny, the black palazzo pants sit high on the waist and feature a wide, cropped leg for a fluid fit. Fastening with a concealed side zipper, the trousers are detailed with slip pockets and piped trims at the waistband and cuffs. A tonal logo print completes the design.